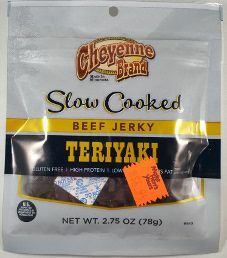 The next review for Cheyenne Brand will be on a 2.75 ounce/78 gram bag of their teriyaki beef jerky. This flavor is advertised to be slow cooked for a flavorful experience. The bag was purchased at a gas bar convenience store in New Milford, Pennsylvania. 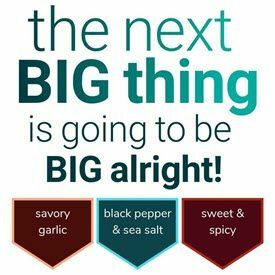 Note: For a live taste review on an updated ingredient list, open up Cheyenne Brand – Teriyaki Beef Jerky (Review #2) written by Stéphane Leclerc. 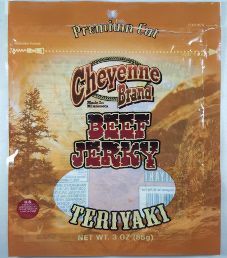 The first review for Cheyenne Brand will focus on a 2.75 ounce/78 gram bag of their teriyaki beef jerky. This bag was purchased at a gas bar convenience store in Kearney, New Jersey back in 2011.